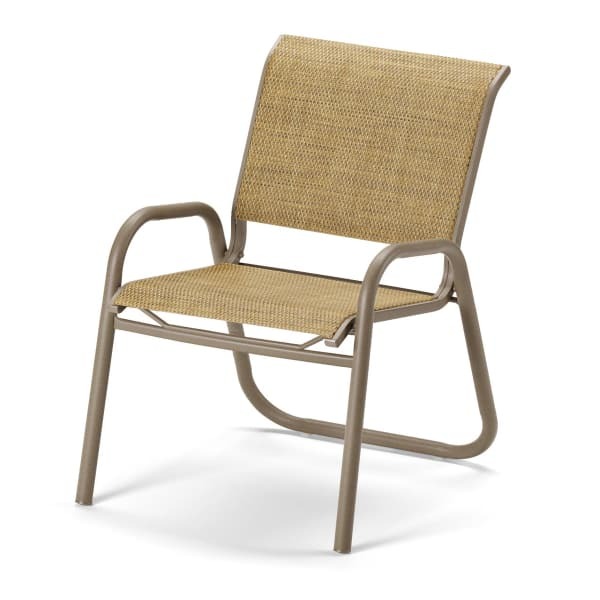 The Reliance Contract Sling Dining Arm Chair by Telescope features lightweight, durable recycled aluminum frames. Each frame is finished with a powdercoat finish that preserves the all-weather frame without cracking or peeling. Slings are all-weather, too, so they don't have to move indoors and out again each time it rains. But, if you'd like to store them for an entire off-season, they stack neatly together. 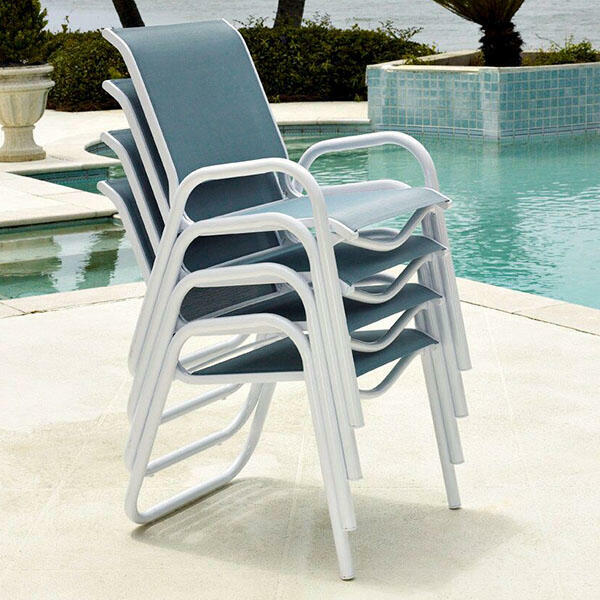 The chair seats sit at a standard dining height, so they're suited to pull up to an outdoor dining table. If you already have a dining table in mind, mix and match the sling and frame colors to match your style. Telescope provides multiple sling and frame colors to choose from.